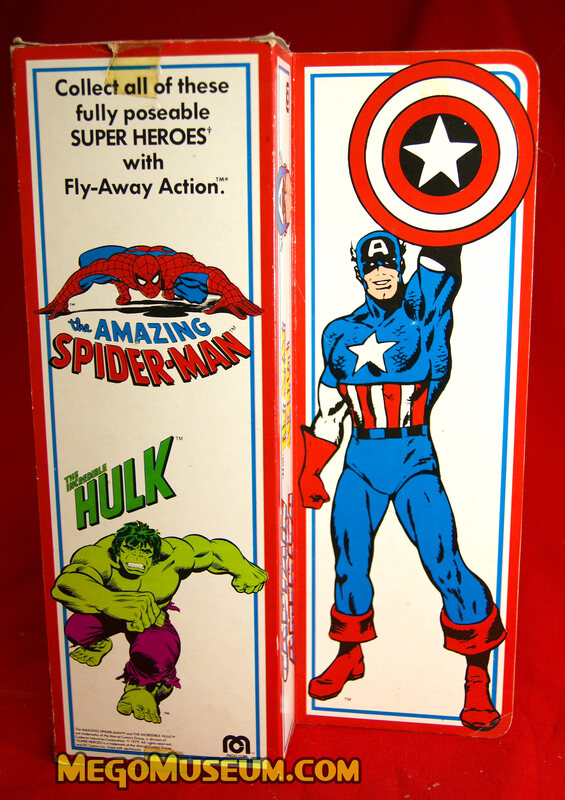 12″ Captain America had been promised on the back of the initial run of the Parkdale Novelty Superheroes along with Mr. Fantastic but we now know thanks to speaking with the Kotzer family that they had no such intention of producing either of them. 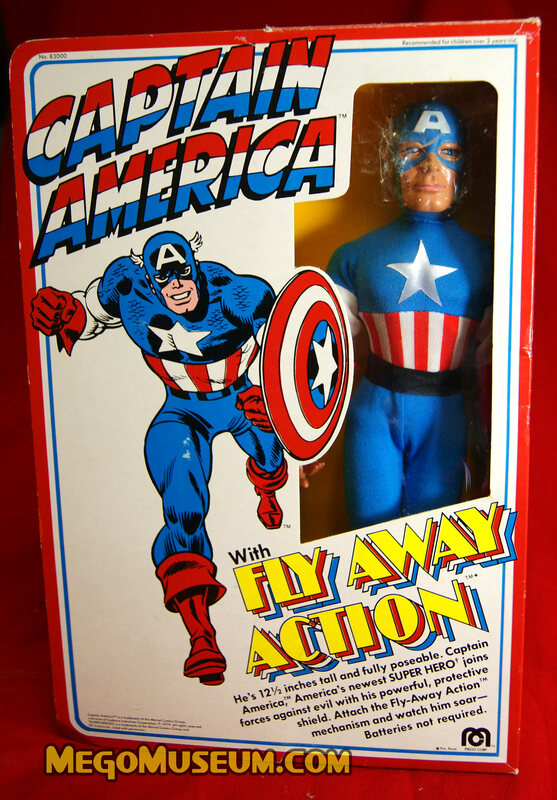 Cap finally got his due as the 70s drew to a close, so late an addition was he that wasn’t included in the 1979 catalog. 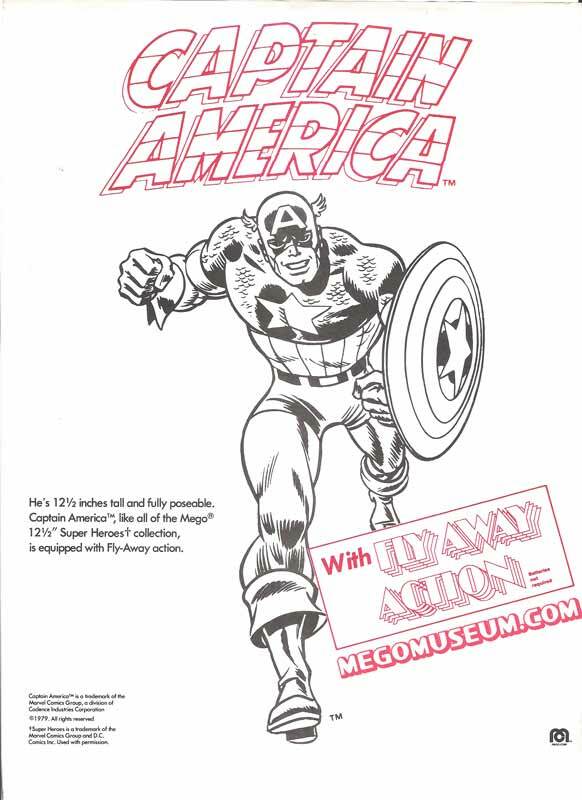 Here is the pamphlet that Mego drew up in haste? Cap’s inclusion in the line might have had something to do with the two CBS TV movies that aired in ’79. They were highly rated and fully expected to go to series until CBS pulled the plug on Marvel characters. 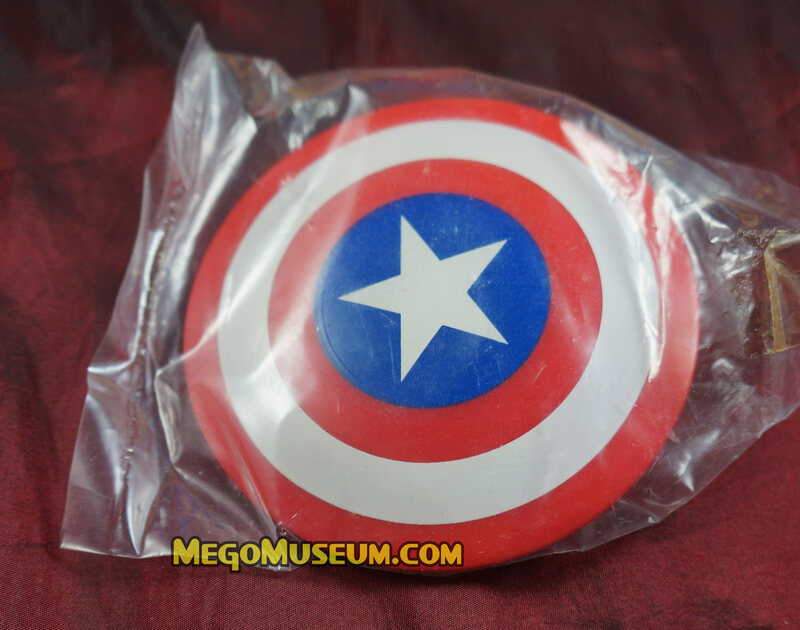 Cap comes in a brilliant box and while some of the mistakes of the eight inch version have been revised, there are two noticable issues. The first being that Cap still doesn’t have red hands but flesh coloured ones the second is well, he’s got a big noggin. 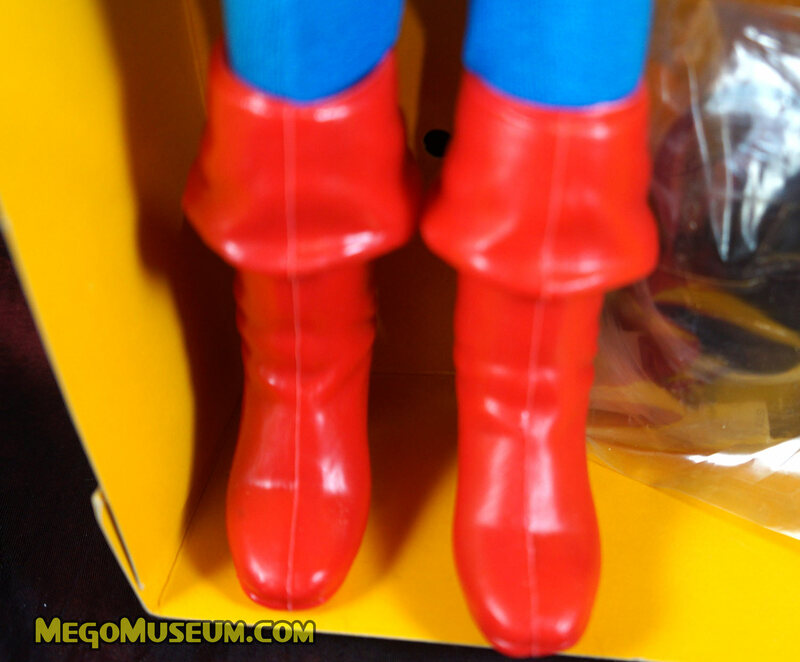 It’s a nice sculpt but it’s rare miss for the World’s Greatest Toy company.